YouAreNews.com: Real People, Real News! YouAreNews.com is a new site that provides an alternative to mainstream news. It allows registered users to add news stories to the site where other users can read, comment, share, etc. You can add and find articles in all sorts of categories; food, entertainment, science, local and many many more. Stories can easily be added to the site in one click by adding a website link, or you can take advantage of the article creator and upload an article written by you. I visited the site today and one story in particular caught my eye because of the photo (shown above). 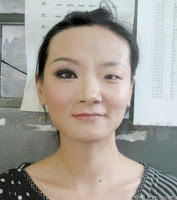 The picture was found on Reddit and a YouAreNews user simply submitted the photo with a blurb showing the power of makeup. Isn't that an amazing transformation?! The site is only a few weeks old (created 5/5/12), so feel free to register and start adding interesting/important news articles you think your peers would be interested in. I'll be letting my friends know in hopes of adding to our Local News category! You can also like their Facebook page (already 3,000+ fans strong!) to be updated on the newest and greatest aticles.